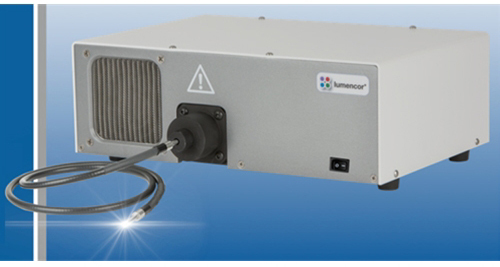 Microscope World is proud to offer Lumencor light engines for bioanalysis. Lumencor products are made in the USA and the optical excitation subsystems are designed for an array of bioanalytical instruments including fluorescence microscopes. The company has developed innovative, powerful, pure, stable, durable and cost-effective lighting solutions. Discrete outputs are available through the UV-Vis-NIR spectrum from a proprietary mix of independently controllable solid state sources. Lumencor’s products provide more power than an arc lamp with the durability, stability, speed and flexibility of a solid state solution. The Lumencor light engines are available as a simple light engine package, a computer controllable light engine package, and a computer controllable light engine package with 7 bandwidths.